China Miéville doesn't follow trends, he sets them. Relentlessly pushing his own boundaries as a writer - and in the process expanding the boundaries of the entire field - with Embassytown, Miéville has crafted an extraordinary novel that is not only a moving personal drama but a gripping adventure of alien contact and war. When we were young in Embassytown, we played a game with coins and coin-sized crescent offcuts from a workshop. We always did so in the same place, by a particular house, beyond the rialto in a steep-sloping backstreet of tenements, where advertisements turned in colours under the ivy. We played in the smothered light of those old screens, by a wall we christened for the tokens we played with. I remember spinning a heavy two-sou piece on its edge and chanting as it went, turnabout, incline, pig-snout, sunshine, until it wobbled and fell. The face that showed and the word I'd reached when the motion stopped would combine to specify some reward or forfeit. I have a confession to make. I am in love with China Miéville's brain. I think his writing is brilliant, unique, and thought-provoking to the millionth degree. He treats the English language as his tool, his toy, and his landscape, and Embassytown is a perfect example of how much he can accomplish in one book. (Reviewed by Beverly Melven). Like all of Miéville's additions to the literary atlas, [Embassytown] seems at once wildly imagined from scratch and phantasmagorically drawn from life. Overall, Embassytown is a superb literary achievement of the author set in an imaginative universe with fascinating aliens, though the [science fictional] content is relatively predictable in the second part of the novel. 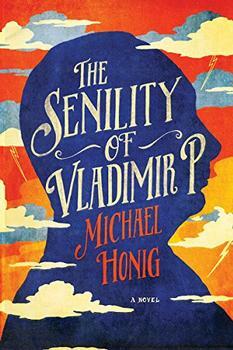 Fans of the eloquent and endlessly imaginative China Miéville have been blessed by his recent annual output... [Embassytown] mashes together incongruent elements of fiction to create something beautiful, bleak and terrifying. I want to read this, and I don't even read sf. A major intellectual achievement that, despite all difficulties, persuades and enthralls. Miéville's brilliant storytelling shines most when Avice works through problems and solutions that develop from the Hosts' unique and convoluted linguistic evolution... The result is a world masterfully wrecked and rebuilt. China Miéville (pronounced mee-AY-vill) has taken the science fiction world by storm in his relatively short tenure as a published author. He is the winner of three Arthur C. Clarke awards, two British Fantasy Awards, four Locus Awards, a Hugo Award, and a World Fantasy Award - not to mention he's received numerous nominations for every major science fiction and fantasy award possible, including the Bram Stoker and International Horror Guild awards. His first novel, King Rat, was published in 1998. That's a lot of attention in 12 years.